Remembrance Day has passed and the 888,246 hand-made ceramic poppies that made up the Blood-Swept Lands and Seas of Red installation at the Tower of London have now been removed. We were lucky to visit in September. 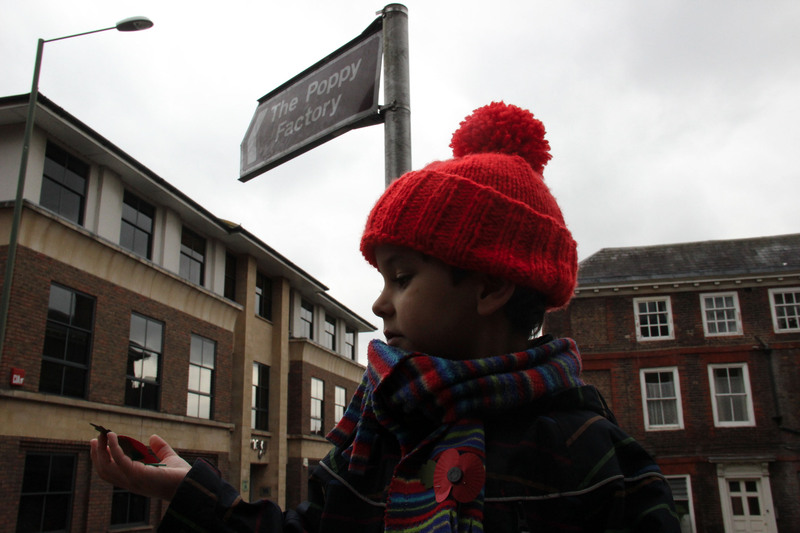 In the meantime though, the Poppy Factory continues to operate in no other place then Richmond Upon Thames. Only a walk away from our home. So on a cold and grey November afternoon this was the perfect place to visit in an attempt to answer the many questions this little one had about poppies. The history of the poppy factory goes back to 1922 and we learnt that the poppies were designed so that someone who had lost the use of a hand could assemble them. It was very inspiring as the factory has become a specialist employability charity for disabled veterans – helping them to find work throughout the UK. The factory is a perfect afternoon out for the family during school holidays as tours are only during school hours. It is a great way for children to not only learn about history but also introduce them to a bit of our disappearing industry. 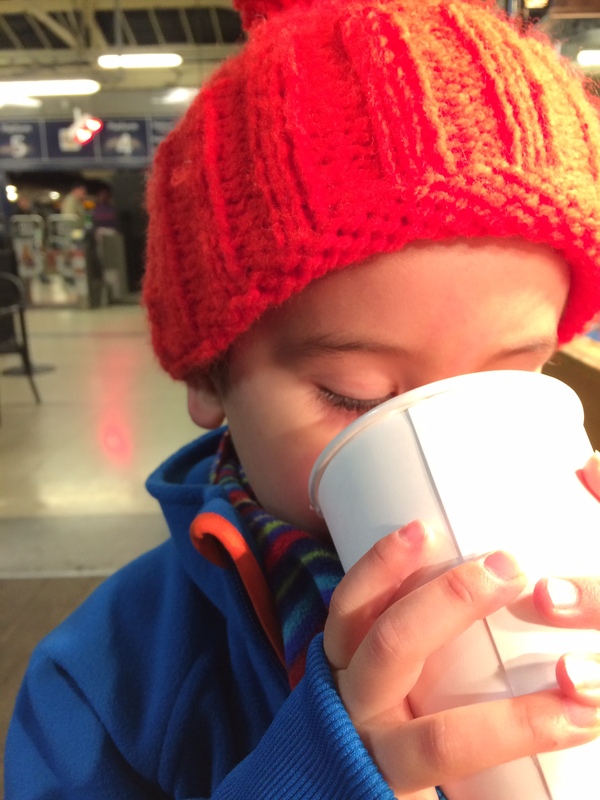 We finished our day indulging with a hot chocolate before heading home and bringing back poppies for the whole family.